We have been running successful School Programs for the past three years, educating students about India with our interactive presentation and Bollywood dance workshop – giving students the chance to perform for one another in a fun, inclusive setting. 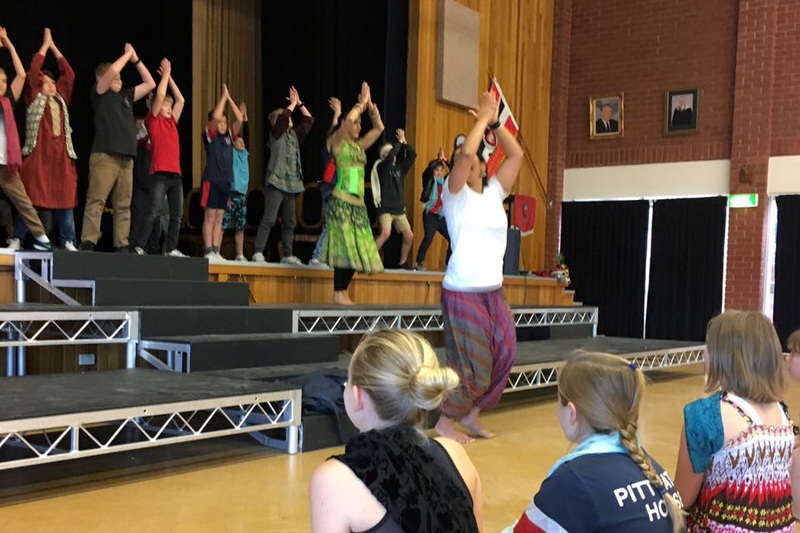 Our workshops are presented by Working With Children registered company members with years of teaching experience and are a great addition to your Multicultural Day and Harmony Day activities. Our Bollywood and Beyond workshop is designed for children ages 5-18 years old and starts with a lively performance from Sirens Dance. This is followed by a 45 minute interactive presentation about the geography, culture and traditions of several different regions in India, with demonstrations and pop quizzes to keep the kids engaged. The program concludes with a 45 minute Bollywood dance workshop to get the kids active and build their confidence, while having lots of fun. We also offer Bollywood Discovery – a pre-school program designed to stimulate children's developing senses by introducing them to some of the vibrant colours, textures, musical sounds and spice scents from various Indian cultures. Sirens Dance do a short performance to entertain the children and then show them some simple Bollywood dance moves. The children love seeing the beautiful Bollywood costumes and getting to dress up in bindis and bangles themselves. Enrich your curriculum and celebrate diversity with our entertaining introduction to Indian culture and dance.